Indigenous people who are marginalized, soldiers who are protected, innocent people stuck in prison, dubious contracts, and an increased likelihood that defendants will be convicted if they can’t afford an attorney: These are all symptoms of the weaknesses of public defense institutions in seven Latin American countries, according to an investigation led by Univision with seven other news organizations. Read the following text carefully. It will expose you to a reality that is rarely discussed in Latin America. It is one that thousands of poor people experience as they face a criminal justice system that is inherently biased against them. Adán de la Cruz Gallegos is a 45-year-old indigenous man from Oaxaca, Mexico. He speaks Zapotec and barely understands Spanish. 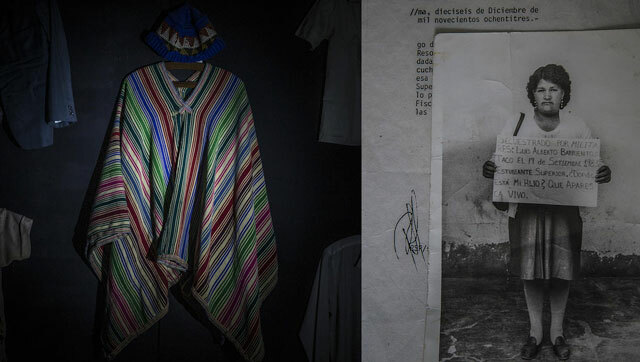 One morning in October 2009, police arrested him in his hometown of Juchitán de Zaragoza, as he returned home from baptizing his youngest daughter. They charged him with kidnapping and put him in jail, where he’s been for the past seven years. But he hasn’t been convicted of a crime. During the investigation and hearings, he didn’t have access to a defense attorney who spoke his language. He couldn’t understand the police as they arrested him. In Costa Rica, whose justice system is considered a model in Latin America, if you are accused of a crime and go to trial with a public defender, the likelihood of conviction is greater than if you hire a private attorney. This is especially true if the case involves a complex crime. The notion that those who can’t afford attorneys are guaranteed a criminal defense under equal conditions appears not to apply. Next is Peru, where 47 members of the military accused of crimes including torture, forced disappearances and homicide are represented by private defense attorneys paid for by the government. Meanwhile, in October 2016, the administration of Pedro Pablo Kuczynski fired 200 public attorneys whose job it was to provide legal counsel to ordinary citizens, including victims of human rights violations. These are some of the stories that have come to light following a regional investigation over the past six months led by Univision Noticias. Journalists from seven Latin American news outlets participated in the project: Animal Político (Mexico), Plaza Pública (Guatemala), Semanario Universidad (Costa Rica), El Tiempo (Colombia), CIPER (Chile), Ojo Público (Peru) and Agência Lupa (Brazil). The cases we present are symptomatic of a greater harm. The current models of public defense in Latin America are failing to live up to their purpose. “They no longer withstand the needs of the people, they don’t work, they’re overwhelmed, and they’ve lost their quality,” Argentine jurist Alberto Binder, a criminal law expert and professor at several Latin American universities, told Univision. 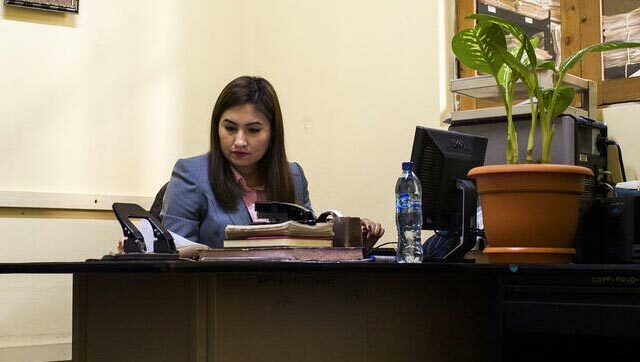 Among the many problems public defenders face are excessive work, poor pay, difficulties in obtaining evidence, political appointments, threats and killings. Additionally, judicial institutions are unable to measure public attorneys’ performance. Public defender’s offices exist so that a society’s poorest and most vulnerable citizens have access to justice under the same conditions as those who have money for private attorneys. Poorer clients need access to legal aid when accused of a crime and when they denounce violations of their rights. Without this legal assistance, millions of people around the world would be at a disadvantage when facing the justice system. In some countries, that includes risking being sent to prison for no reason, suffering torture, and being forced to confess. Historically, penal systems have placed more emphasis on the poor. But today, when people with low incomes face criminal investigations or trials, the defense they’re provided is usually weak. The fight against illicit drugs has skyrocketed the number of people in prison in recent decades. The most disproportionately affected are typically poor women with little access to education, who in many cases provide care for children, seniors and people with disabilities, the Organization of American States said last year. The number of women inmates in the Americas increased by 51.6% between 2000 and 2015, while the number of men increased by 20%, according to a report by University of London’s Institute for Criminal Policy Research at Birkbeck. “We have to redesign things based on the social model in which we live. Currently the models are too simplistic. Cases are indiscriminately thrown at a group of lawyers who’ll get hit with 100 or 200 cases. They’re overwhelmed. This issue is not on anyone’s study list. It’s a simplistic system, given social complexity,” Binder told Univision. Binder and researchers Ed Caper and Zaza Namoradze warned in 2015 that in countries like Mexico, public defense is weak compared to the prosecutors. The researchers requested an investigation of the causes of high conviction rates in the states of Baja California (99.8%) and the Federal District (90%). They sought to understand the relationship between quality of defense and conviction rates. They found that almost everyone who went to trial was found guilty. Univision’s investigation was born in Costa Rica, where a group of attorneys and journalists from the Data Unit reviewed more than 8,000 judicial rulings. They found that for certain crimes, the probability of being convicted at trial for defendants with public attorneys increases 12-26% compared to defendants with private attorneys. Those who have the greatest likelihood of being convicted in Costa Rica are people with public defenders who face charges against the public faith, such as fraud or forgery. These cases often require an expensive and complex defense. Nevertheless, after the data was analyzed, Univision built a calculator so that readers can explore how the likelihood of conviction can change according to type of offense, type of attorney and other variables. Another alarming case is Colombia, where 153 public attorneys are responsible for 234,964 claims filed by the victims of half a century of war. Divided equally, this means each attorney would have to manage 1,500 cases. Not only that, but thousands of additional cases could be added once the Special Jurisdiction for Peace (JEP) begins operating. The JEP is a judiciary body that is part of the peace accords signed by the government of Juan Manuel Santos and the Revolutionary Armed Forces of Colombia. Colombia’s challenge: 153 public defenders to assist 234,000 victims of war. In Colombia, public attorneys earn so little that they are forced to find other income. Overwhelmed with work, they’re unable to devote enough time to each case. 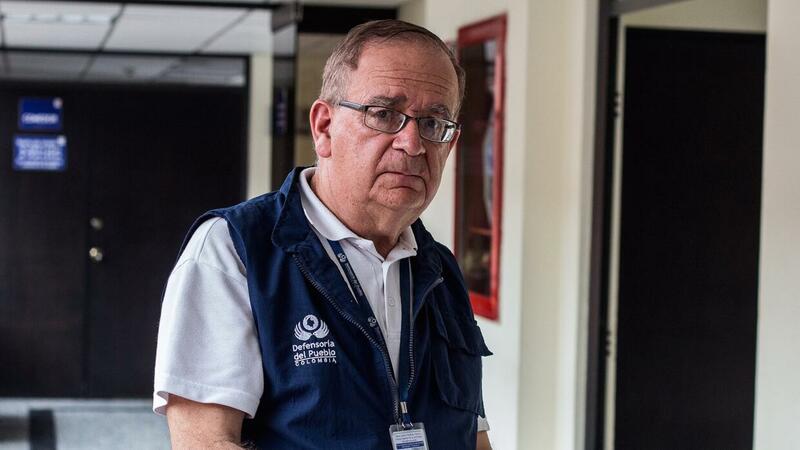 “We’ve fallen behind other countries and are below international standards,” said César Helcías Huertas Valencia, president of Colombia’s National Public Defenders Association. Mexico and Guatemala also struggle to guarantee justice for all of their citizens. In both countries, thousands of indigenous people who don’t speak Spanish are defenseless because there aren’t enough public defenders, judges and prosecutors who speak their languages. In Mexico – a country of 18 million indigenous people – only 25 federal public defenders speak an ancestral language. Guatemala’s case is similar. This Central American nation has 6.5 million indigenous people – 40% of the country’s total population – and only 15 public defenders who speak local indigenous languages. Last year, those 15 people handled 1,779 cases. The work of a defense attorney who speaks a local language is fundamental to ensure that what happened to Petrona Xol doesn’t happen again. 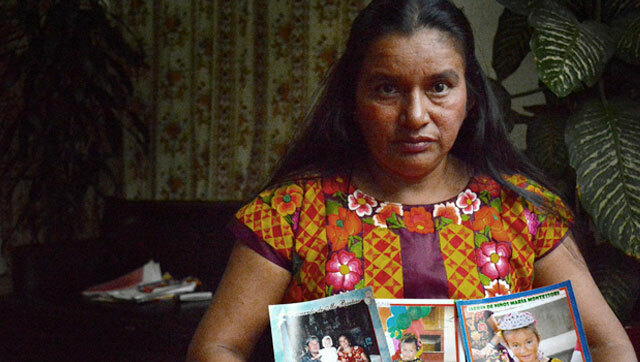 Xol is an indigenous Q’eqchi’ woman from Panzós, Cobán, imprisoned for the past 12 years for a crime she says she didn’t commit. Xol didn’t understand a word of her trial, and an appeals court rejected her motion to overturn the conviction because her defense attorney filed it too late, the Asociación de Abogados Mayas (Mayan Attorneys Association) said. Peru’s situation is also tragic. Legal benefits extended to members of the military accused of human rights violations cast doubt on the equity of the South American country’s justice system. Soldiers are afforded private attorneys paid for by the state. But Ayacucho, a city in the Andean foothills that is home to more than 49,000 victims of torture, forced disappearances and killings and their families, has only three public defenders. The Peruvian government has spent $125,000 defending 47 soldiers, which equals the average monthly salary of 80 public defenders. Peru’s situation is worsened by a lack of experts to help defense attorneys prepare cases. “Faced with a shortage [of experts], a defendant’s family usually ends up paying for a specialist or private expert, a situation that is entirely dependent on their financial ability,” Binder said in a 2015 study. Chile has a different story to tell. The Centro de Investigación e Información Periodística (Center for Journalistic Investigation and Information, or CIPER) reveals how a government-contracted private company hired to defend low-income clients declared bankruptcy last year after failing to pay attorney salaries. The company abandoned 3,253 cases. But that didn’t stop Chile’s Public Defender’s Office from awarding another contract to a second company owned by the same shareholders. Not surprisingly, history repeated itself. In October 2016 – only one month after the new contract started – the company refused to pay the public defense attorneys, abandoning its cases again. 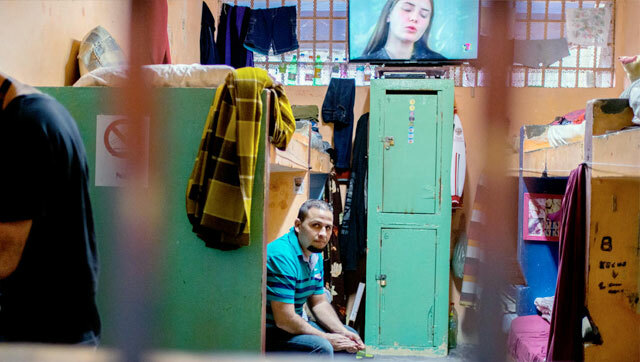 The financial inability of defendants to hire a qualified defense “is one of the gravest barriers to effective access to justice,” wrote Clever Alves, a Rio de Janeiro public defender and professor at Universidad Federal Fluminense. Alves believes that public defenders are one of the ways to improve a society’s quality of life, and they ultimately help reduce inequality and poverty. “It’s essential that [the state] make available to the most vulnerable citizens the practical and concrete means to litigate under equally fair conditions as those who can afford it,” Alves wrote. In Alves’ country of Brazil, access to free and effective legal assistance is blocked for thousands of poor people, because there aren’t enough public defenders. This is especially true in the country’s interior regions. More than 10,500 additional attorneys are needed to guarantee public access to justice, according to estimates by the Asociación Nacional de Defensorías Públicas (National Public Defenders Association, or ANADEP). Brazil’s lagging justice system is evident, despite the right to public defense having been a constitutional guarantee for nearly 30 years. The national average coverage by judicial district is barely 40% across the country, according to Agencia Lupa’s report. Another problem in some Brazilian states is that public defenders are political appointments made by the governor. This happens in Amapá, in Brazil’s Amazon region in the north of the country. 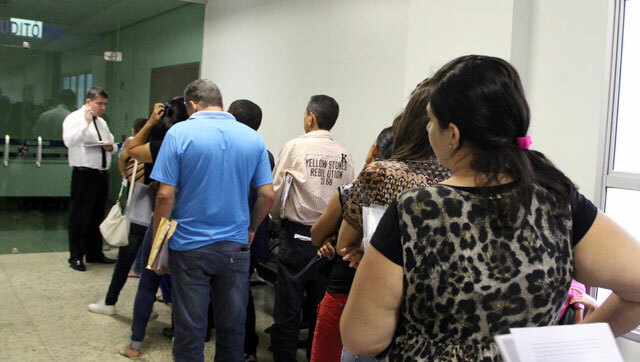 In Amapá, public defenders’ independence is highly questioned, particularly when they represent clients who have filed claims against government officials, according to ANADEP President Antonio Maffezoli. The financial and administrative independence of public defender’s offices is a recurring problem in several countries. 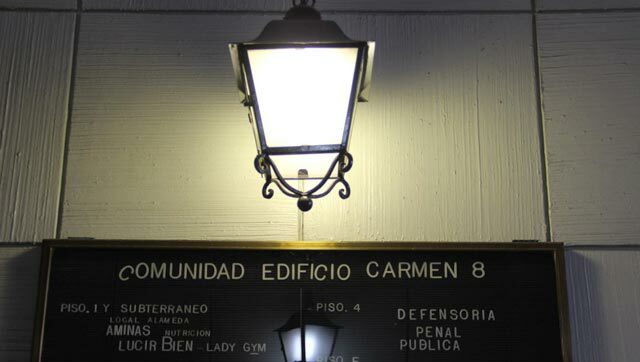 A study by the Inter-American Association of Public Defenders found that 82% of public defender’s offices (of the 17 that participated in the study) have operational autonomy. That means they can create new departments or appoint public defenders and other staff without seeking authorization from another agency. But in terms of financial autonomy, the situation is different. More than a third (35%) of those participating in the study said they don’t have financial autonomy. They include defender’s offices in Colombia, Honduras, Nicaragua, Panama, Peru and Uruguay, according to the study. These are some of the stories revealed by our investigation. The reports published here will help readers understand the magnitude of the problem – one that is largely unmentioned in the arena of public debate in Latin America. Data Research: Alejandro Fernández S., Andrés Fernández A., Daniel Salazar M.
Research and Text: Olga Rosario Avendaño, Lilia Saúl.